People love potatoes! They are fresh, healthy and full of nutrients; they are synonymous with comfort food. Who can refuse mashed potatoes at Thanksgiving, fresh potato bars during winter or grilled potatoes in the summer? Then there’s potato salad at picnics, potato pancakes with sour cream, and who can resist, fries with burgers. People love them all! How much information can you possibly need to grow a crop these days? The answer might surprise you; it’s just about everything you can imagine that might be relevant and could potentially impact making the right decision. Where you plant (GPS- defined to the nearest inch! ); what the soil is made up of and what did you do with it over the past decade; what is the hourly weather now and in previous years; when did you plant; when did the crop emerge; how is it progressing; what pests might threaten, when might they arrive; what about fertility, harvest, yield, quality, storage, daily fluctuations in value – the list is seemingly endless! 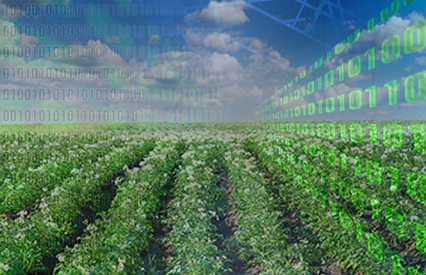 It’s called ‘big data’ these days, and it is changing the way we farm. We need to conserve our natural resources to guarantee that they will be there for future generations! We all work to conserve — in our own homes, work places, towns and communities — and we expect our industries to do the same. Irrigated vegetable growers in Central Wisconsin agree and their highest priority is to conserve the water that they rely on to irrigate the crops that supply food to our tables! Below are some comments taken directly from growers in Central Wisconsin that reflect that commitment. 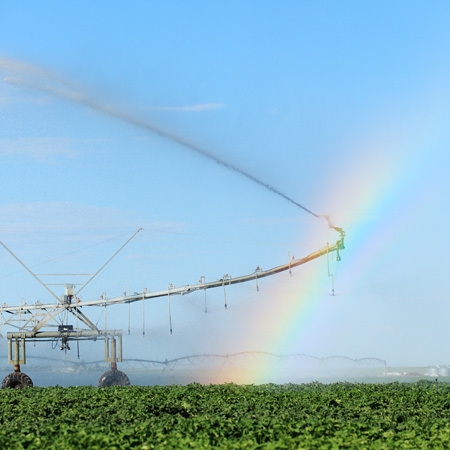 Since water conservation is essential for the long term sustainability of the vegetable industry, growers are working to use advanced technologies and best management approaches directly on their farms to maintain these resources. Wisconsin’s Central Sands is a unique and bountiful place. Its rain-fed groundwater aquifer feeds one of the nation’s most productive potato and vegetable growing areas. The sandy glacial soils and easily accessible aquifer for irrigation allow Wisconsin to rank in the top three in green beans, peas, sweetcorn and potatoes, which contribute to our diverse and healthy agricultural economy. With an average annual rainfall of 32”, our aquifer is replenished yearly and the groundwater level remains constant, with minor fluctuations. Ever mindful of the importance of a sustainable groundwater supply and how this resource has been depleted in other parts of the country, potato growers recently measured the depth to groundwater in over 50 irrigation wells in Portage county and found that all but 3 have groundwater at the same or higher levels compared to those recorded when they were first drilled over the last half century. This careful scrutiny is being expanded across the 6-county sands area to ensure that our groundwater is not at risk. This same aquifer is also connected to and essential for the well-being of the many streams, lakes and wetlands that make the sands an ideal place to live. Wisconsin potato growers are at the forefront in managing these fragile ecosystems, and making sure they remain healthy during dry climate years, when the need for agricultural water use increases. The potato industry is sensitive to these concerns and is actively seeking new ways to irrigate their crops using less water. One logical approach is to increase productivity so that more food can be grown on fewer acres. Potatoes are a good example where this has been achieved. Over the past decade, innovations in production gained through improvements in varieties, fertility, soil health and pest management have allowed growers to produce 95% of the potatoes they did a decade ago but on 20% fewer acres, saving a whopping 25% of the water needed to grow potatoes! 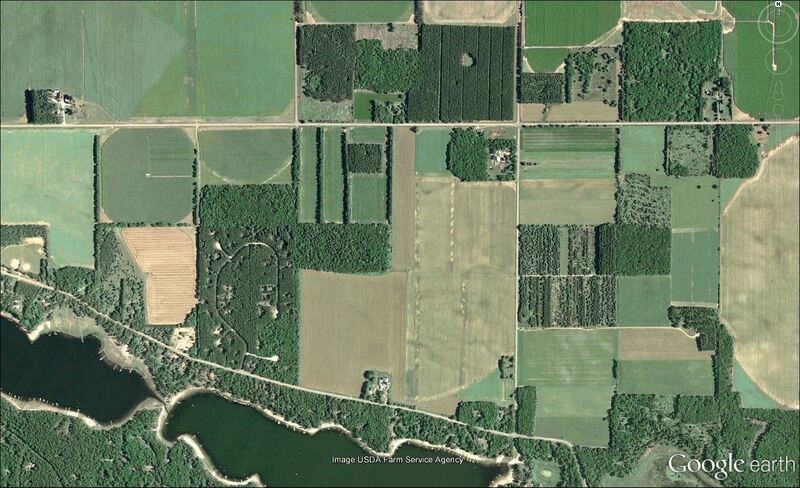 Growers are now actively working with UW researchers to reduce water use still further. In the Department of Horticulture, a research group led by Mike Drilias, is looking at ways to induce crops to root deeper and use the water in the soil more efficiently. One method currently being studied is to simply apply less water to the crop (deficit irrigation) throughout the growing season and force the roots go deeper to find it. Mike has found that crops respond differently to such treatment. Potatoes differ by variety with some less affected while other varieties lose yield and, surprisingly, sweetcorn attained the same yields with 25% less water. Withholding water at specific growth stages (deferred irrigation) is another approach that is rapidly gaining acceptance by growers. Naturally deep-rooted crops such as soybeans, field corn and sweet corn, tend to ‘cheat’ when water is plentiful near the surface and develop shallow root systems but when water is withheld early in the season roots will go deeper and use water that would otherwise be lost. Such tactics can save growers over 2 inches of water on an acre of cropland—that’s 7 million gallons on a single field—without sacrificing yield. An exciting new concept is also now being investigated that could prove critical in conserving water in irrigated agricultural systems. This takes advantage of the differential use of water by crops, which has been studied by UW departments of Horticulture, Soils, Agronomy and Biological Systems Engineering faculty and students. This differing need for water among crops opens the potential for designing future agricultural landscapes that can be profitable and yet use less water. Such landscapes have been evolving naturally, driven by economic and production considerations over the past 20 years. As potato acreage, (which requires 18 to 22 inches of total water throughout the growing season, including rainfall), has declined in response to greater productivity, the acreages of green beans (which need only 6.5 inches) and sweet corn (needing 12 inches) have increased to fill the gap, resulting in landscapes that actually use 25% less water. The potato and vegetable industry is actively supporting research in this area with the goal of designing landscape strategies to develop crop rotations in space and time to promote water conserving farmscapes. In this current blog series we have been featuring graduate student research on potatoes in Wisconsin, and so far we have covered research in plant breeding, seed production and pest management. We are concluding this student series with 4 blogs on a topic that has emerged as one of the most critical issues facing agriculture today—water. Will there be a sufficient supply in the coming decades to maintain the productivity and security of our nation’s food supply while guaranteeing the long-term sustainability of the resource in future generations for all to enjoy? In Wisconsin, the issue of water and its availability is particularly acute in the Central Sands region, which is one of the top five vegetable growing regions in the nation where potatoes, sweet corn, green beans, peas, carrots and cucumbers all rank near the top of U.S. production. The foundation of the region’s productivity lies in its geological history, which began during the glacial ice age that encompassed Wisconsin over 15,000 years ago. The Central Sands is a large and relatively flat glacial outwash plain that deposited abundant sandy soils—ideal for vegetable production—and is underlain by a deep groundwater aquifer that provides the water, vital for crop growth and productivity.